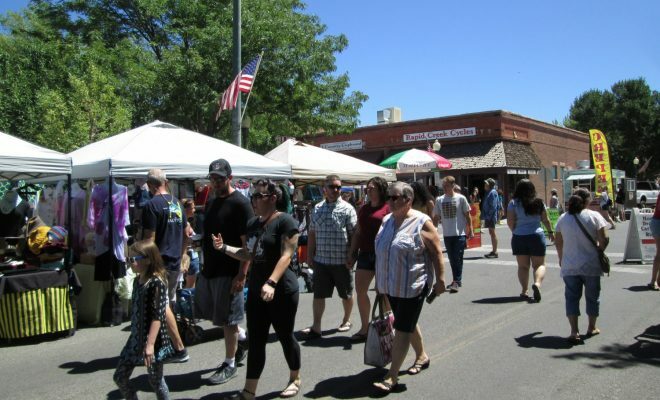 Strolling through Palisade's downtown Sunday Farmers Market on July 1 allowed visitors to relax, meet friends, and discover items at vendor booths. Photos by Bill Hoffmann. Strolling through the downtown Sunday Farmers Market in Palisade allows visitors to relax and find themselves for the day. 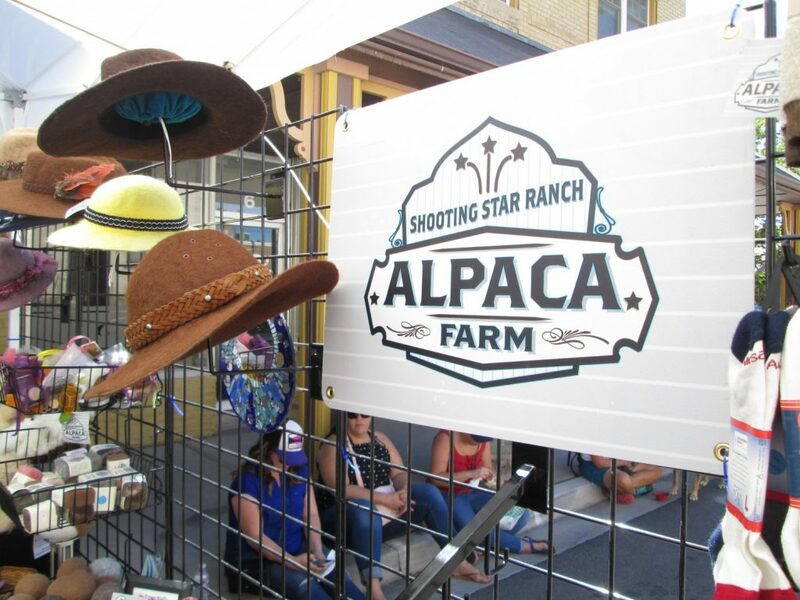 Visitors will find fresh produce, a variety of artisans and crafts, food, live music, and chef demonstrations. Visitors on July 1 found a horse-drawn carriage and said “hello” to Sonny, the Umbrella Cockatoo parrot at the Twisted Crafts booth. The town market continues each Sunday through September 16, between 9:30 a.m. and 1:30 p.m. The market is located in downtown, between Kluge and Main Streets and between 2nd and 4th Streets. “Relax in the shade of the Plaza and listen to folk, blues, jazz, reggae, bluegrass, and more,” the Town of Palisade website points out. “We are unique because we are located in the heart of fruit, produce and wine country,” the website adds. See more at the Farmers Market Facebook page: https://www.facebook.com/PalisadeFarmersMarket. 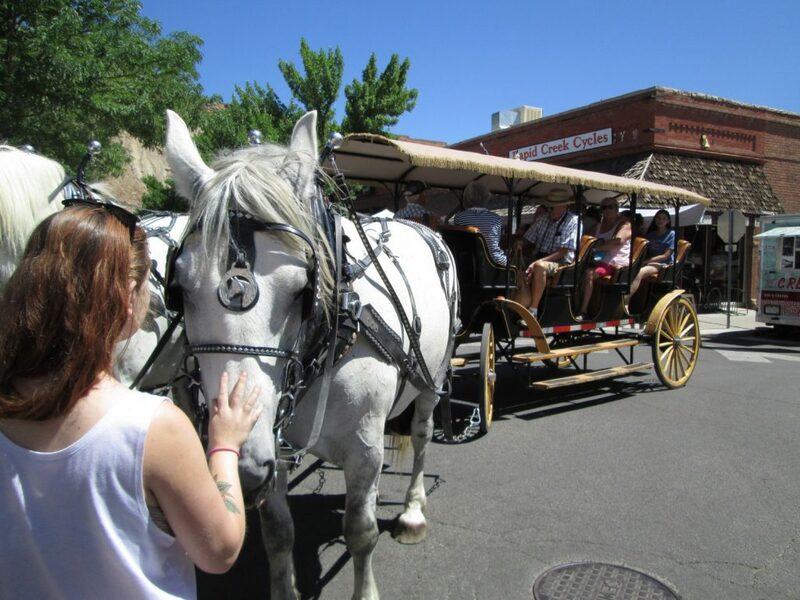 Visitors to the market on July 1 enjoyed the horses and carriage. 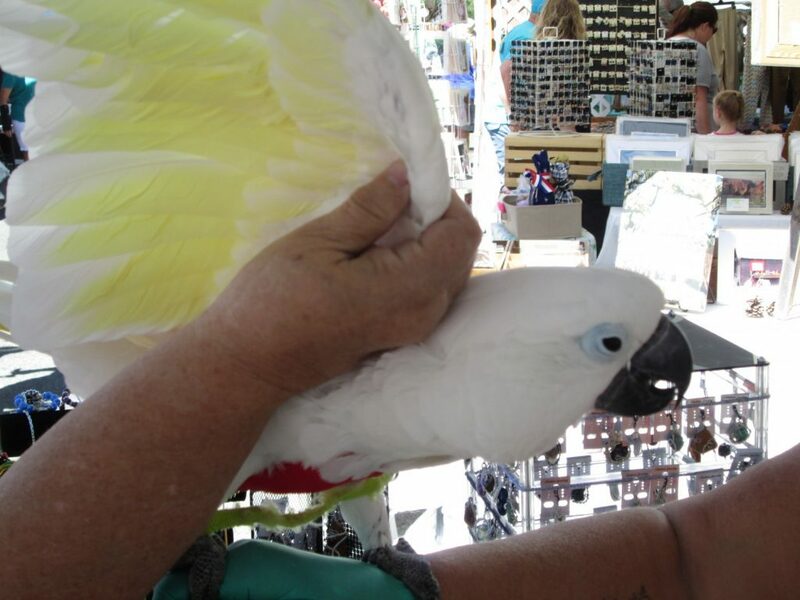 “Sonny,” an Umbrella Cockatoo parrot was shown by his owner at the Twisted Crafts booth on July 1. A variety of crafts was available at booths at the Farmers Market on July 1.